Having a clear, common language to use when communicating to your church makes your job easier and more effective. This week we talk about one-liners (4:09) and how you can use them to have a common language amongst your church (14:44). 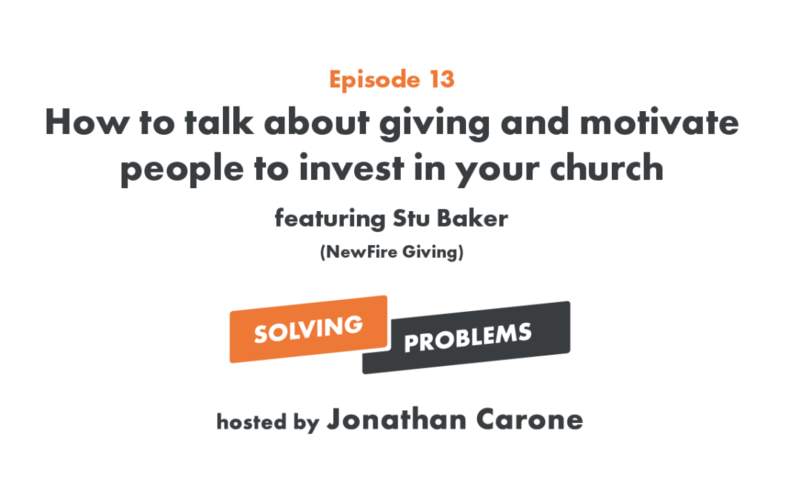 We also talk about how most announcements are unnecessary hype (5:16), why speaking into problems is important (11:22), and how a common language equips people to invite others to your church (15:45). Lastly, we get practice by BrandScripting VBS (7:26) and turning that Brandscript into a one-line you can use to motivate people to show up (9:31). We could have the greatest message in the world – and we do – but if we can’t lead well, people still won’t follow us. 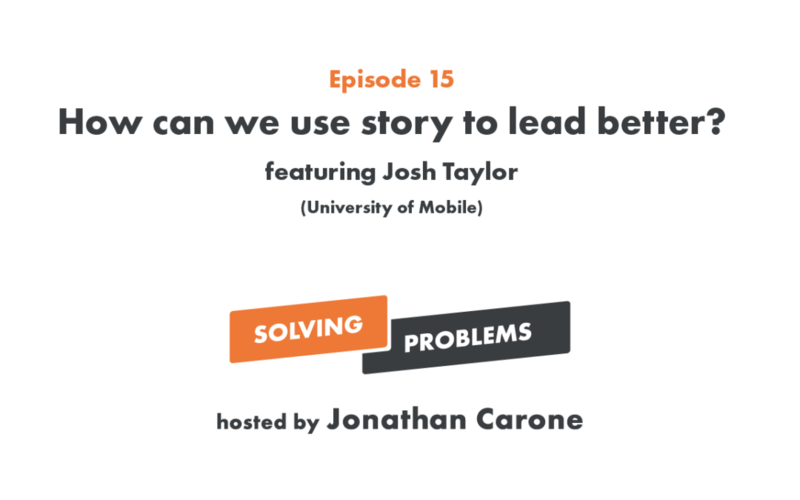 This week, we talk about how we can use StoryBrand to be better leaders (3:12). We’ll dive into how people don’t know what we’re thinking (4:30) and how to determine what events/ministries we should be doing (6:12). We’ll also look at how we can use the BrandScript to have better meetings (12:33) and will do a sample BrandScript for a hard conversation (14:18). Lastly, we’ll look into how we can lead up and lead our supervisors (20:47) and how the StoryBrand Framework gives you a unifying language (26:05). It’s one thing to give people information. It’s a totally different animal to then ask them to do something with that information. But if we want people’s lives to me changed, we have to call them to action. This week we talk about why it’s important to ask people to respond (3:53), how pushy we should be in our ask (10:39), and how we balance getting the message across without being annoying (12:25). We also talk about how Cross Point Church uses their branding to help them move people to action (15:04). Lastly, we look at how we can give people half-steps for when they’re not ready to commit (19:01) and ask if the first time guest form is too pushy (23:18). This may be our most fun episode to date. 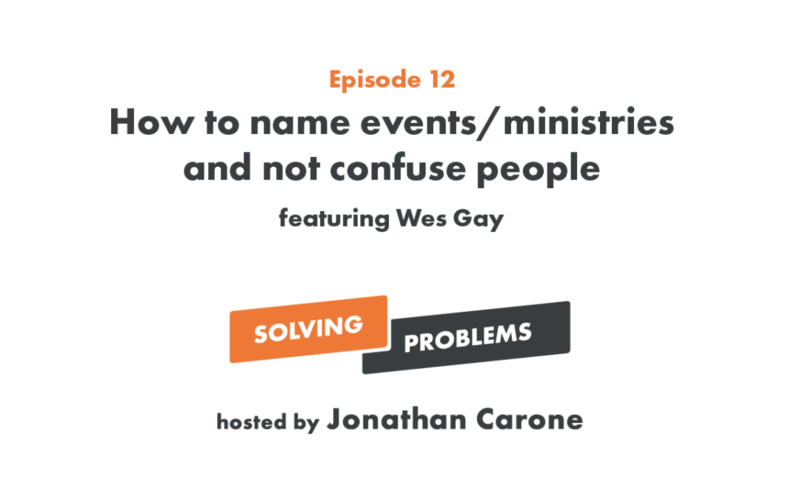 We spend ten minutes (22:43) looking at the silliest event and ministry names we’ve ever seen. But before that, we talk about why being cute is a bad idea (4:01), how to lead other leaders away from using cute names (17:01), and why relationships matter more than results (20:07). We also give you a test to see if your names are effective (5:54), introduce the middle school test (35:13), and explain what a slippery bowling ball is (11:47). In the past, churches have use failure as a weapon and it’s burned people. 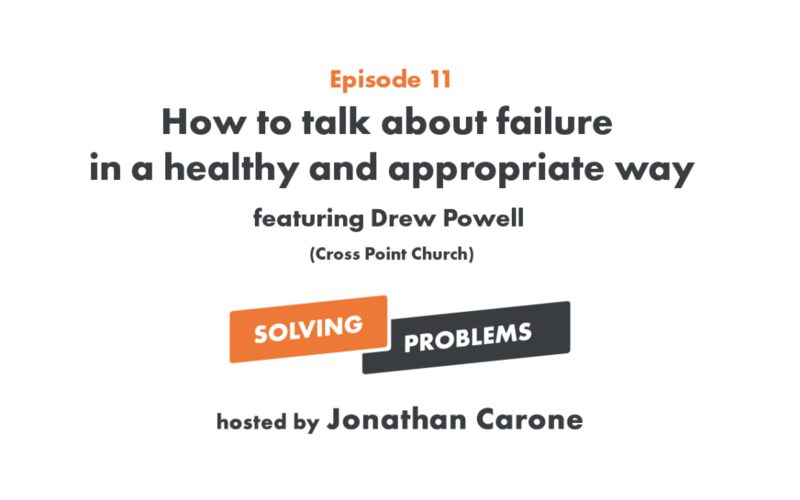 This week we talk to Drew Powell from Cross Point Church about why churches are afraid to mention failure (5:15), how failure can actually help people (12:02), and how pressing on pain points can motivate people to respond (21:01). We also get in the weeds of how to use failure in our teaching (7:56) and in our promotions (15:55). Oh! And Jonathan introduces the idea of making a failure sandwich (11:30). Finding the voice of your church is one of the hardest things in church communications. This week we talk with Kelley Hartnett about why the words we use matter (4:16), how our words can make people more at ease (11:02), and what to do if you’re hitting a wall in developing your church’s voice (21:11). 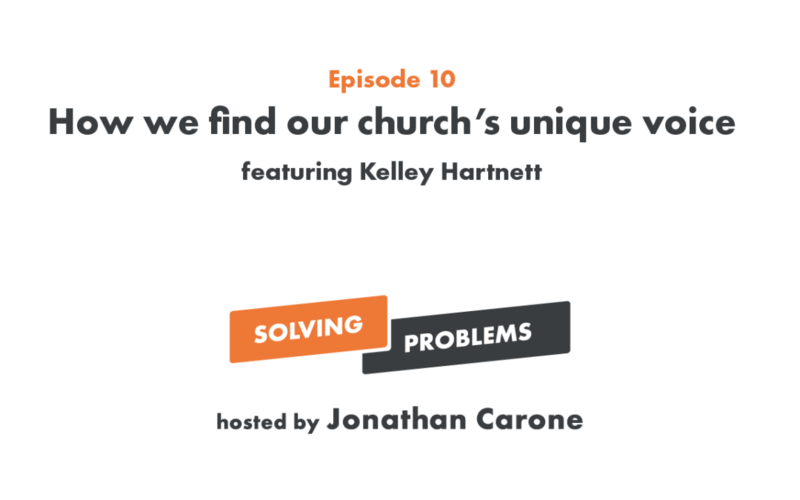 We also discuss how the voice of our church has to reflect the vision of our church (20:07) and how finding our voice takes a frustrating amount of time (30:28). 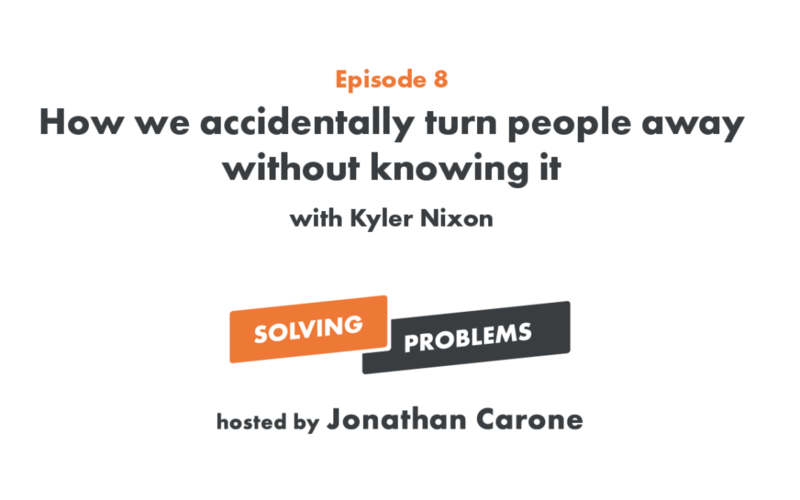 In this week’s episode, we follow up with part two of our look at The Curse of Knowledge. 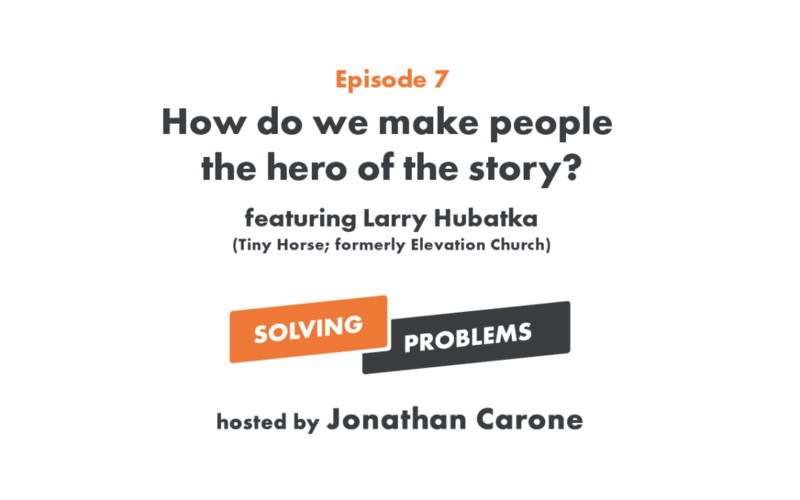 We talk all about how we can leverage the things we already know to reach people and make them feel more like they belong at our church. 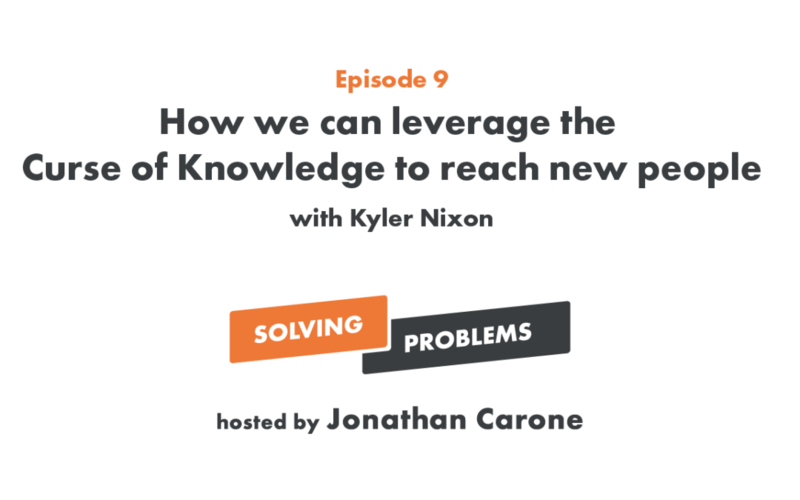 This week we start a two part episode on The Curse of Knowledge. We discuss pet peeve curse of knowledge examples (4:01), some of the things we assume everyone knows (5:46), and how some confusion is unavoidable (7:31). Jonathan talks about how an assumption almost made him leave the church (8:56) and how we can avoid turning people away (14:11). To round out the show, we hit on how assuming people don’t know this isn’t dumbing down our theology (18:32), Jonathan uses another bad dating metaphor (21:29), and how we can never explain things too often (23:30).